Friatec-Rheinhutte GmbH Manufacturer of chemical pumps in all metallic materials, solid Plastic Materials or Plastic Lined, and Technical Ceramics. Netzsch Pumps and Systems Manufacturer of Progressing Cavity Pumps, TORNADO® Rotary Lobe Pumps, screw pumps, grinding machines. Netzsch do Brasil Robust Multi Screw Pumps, innovative, self-priming positive displacement pumps. Available with two, three and four screws, these pumps are suitable for lubricating or semi-lubricating media, low, medium, and high pressures. Recommended for applications in general industry, power generation, marine, and oil & gas. Lewa GmbH Manufacturer of Metering, Mechatronic Systems, Process diaphram pumps, Plunger and Condition Monitoring Systems. SIHI A manufacturer for Liquid Ring/ dry Vacuum Pumps, Liquid ring vacuum compressors, Engineered Systems, Multistage Horizontal pumps, Side Channel Horizontal pumps, and other fluid pumps. ATB SCHORCH Is a specialist for manufacturing low and high voltage electrical motors for several applications including hazardous areas. Borsig ZM Excellent engineering, durable products, and outstanding service – this is what BORSIG ZM Compression GmbH stands for. As a company within the BORSIG Group, Borsig ZM designs, manufactures, supplies and erect reciprocating and centrifugal gas compressors and packages. PM Piping GmbH Supplying Piping Materials for Petrochemical Plants, Oil Refineries, Offshore Structures, Pipeline Projects, Power Generation and Specials. GWC Italia SpA Designing & manufacturing of API 6D & 6A Trunnion-Mounted Ball Valves for the oil & gas industries. SVT GmbH Manufacturer of marine, truck and rail loading arms, swivel joints, and complete loading stations. KTR A leading supplier of couplings, clamping sets, torque limiters, torque measuring systems, hydraulic components and brake systems. Chetra Is an international specialist in providing high quality and high capacity mechanical seals. Their products and solutions meet the most demanding technical requirements. PLINKE GmbH Engineering & Supply for world-wide process plants for the treatment of nitric, sulpheric and hydrochloric acids, and up to turn key plants. BOWAS Induplan Chemie is an engineering company specialized in the design, planning and construction of plants for the explosives industry as well as in plants for the production of raw materials for the explosives industry, e.g. linters, acids, and solvents. 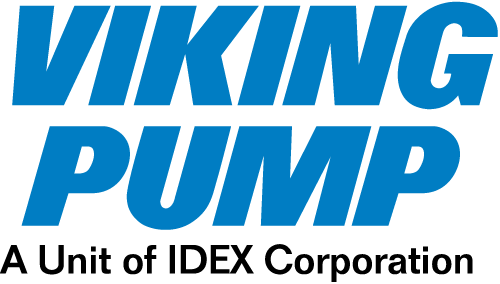 Viking Pump the pioneer for internal and external Gear pumps in the world with headquarter in USA and plants in Europe, in addition to rotary vane pumps and accessories.